Sometimes I want something to snack on other than crisps. Don’t get me wrong because I love crisps. I reckon I couldn’t give them up if my life depended on it. Although I did give up smoking nearly twenty years ago, and overly boozing around the same time, and thought beforehand that I probably couldn’t give them up. Due to a change in dietary necessities I had to give up nuts a few years back, and cravings for coated salted peanuts still haunt me. Fortunately that hasn’t happened with crisps, but I do like to hunt around for alternative snacks to widen the range of my snacking. 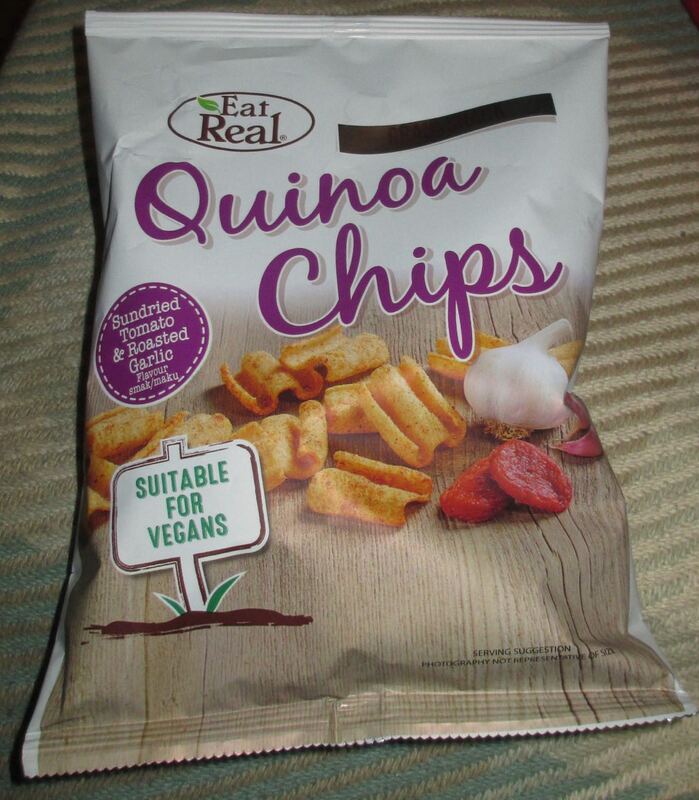 This Quinoa grain snack from the Eat Real range by Cofresh, in Leicester, is rather ostentatiously flavoured Sundried Tomato and Roasted Garlic flavour. 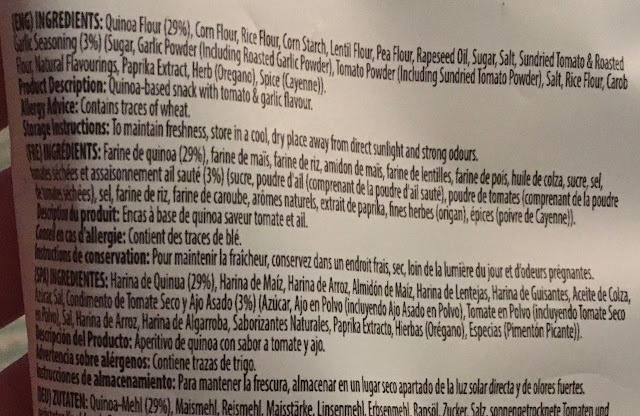 The 30g packet contains 165 calories, with 8.7g of fat, 0.9g of sugar, and 0.63g of salt. Suitable for Vegans, please see photograph for ingredients.